The biggest feature in self-driving cars will be entertainment. Even more so than last year, CES 2017 was the unofficial auto show for the tech world. 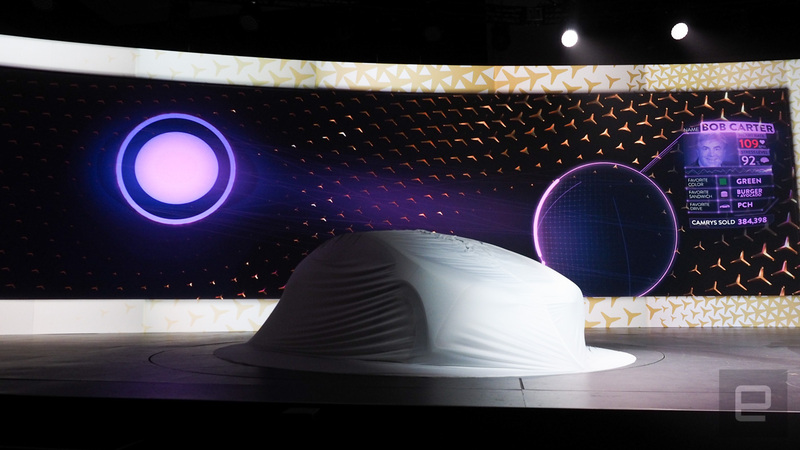 Automakers filled the North Hall and the Gold Lot of the Las Vegas Convention Center with self-driving prototypes and concept cars. But instead of talking about the power of Lidar or number-crunching processors, many started focusing on what the hell their passengers will do once they take their hands off the wheel. When autonomous cars hit the market, manually driven ones won't suddenly disappear. It'll be decades before self-driving vehicles take over the roads completely. That means the horrible traffic you're already stuck in might get a little better, but not by much. So instead of filling those moments by clutching the steering wheel and wishing death upon other drivers, you'll have a bunch of free time, and that's an opportunity for automakers to grab your eyes and ears. The last thing automakers want is for bored drivers to default to their current time killer: their phone. The problem for the companies is that if you get your entertainment from the computer in your pocket, it really doesn't matter which car you own. They're all going to get you to your destination without your input. So they've concocted a novel idea: the AI friend. Along with the deep learning that's keeping cars from shooting off the road and into ditches, automakers are also building you a friend that knows about your wants and needs. Plus, in addition to knowing your schedule and where you like to eat, these robots will know all about your feels. 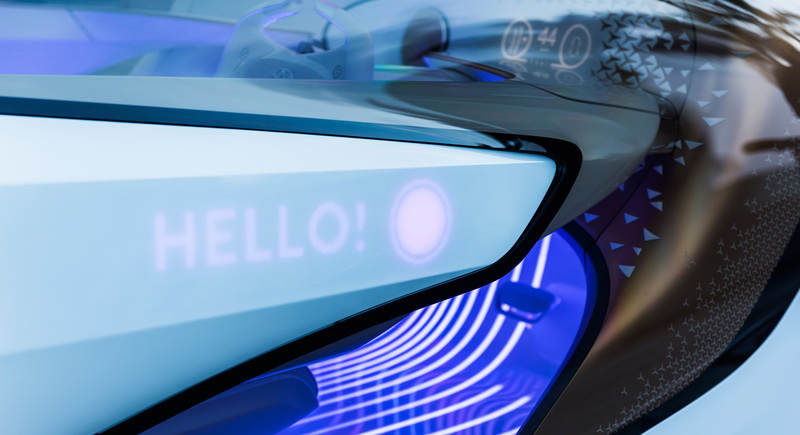 Both Toyota and Honda talked about their in-car AI systems detecting a driver's emotions and reacting either with music or restaurant recommendations. It's a future where you're being coddled by a car, and actually, that seems fine to me. Who wouldn't want a car that recognizes when you're feeling down, blasts Duran Duran and takes you to the best taco place in town? But those AI friends, like autonomous driving, are still a ways off. In the meantime, automakers are adding Alexa or (to a lesser extent) Cortana to their vehicles. Both of those platforms are setting the groundwork for a future in which you're completely comfortable telling your car almost anything and that data being used to offer up personalized suggestions. 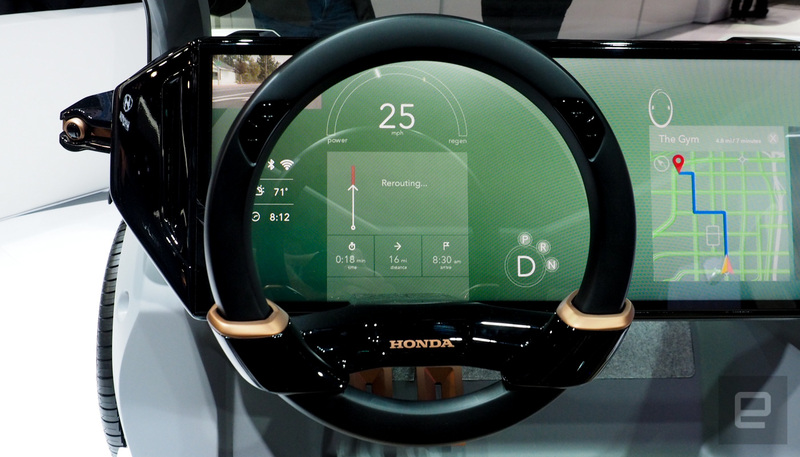 Many of the automakers also showed interiors with giant screens. To make sure the FF 91 never stops entertaining passengers, Faraday crammed a modem for every carrier into the car for high-speed broadband (and probably a high-priced phone bill). But while you're leaning back and watching The Princess Bride for the 27th time, you don't want to fiddle with interfaces and keyboards to take care of your business; you want a helper that's always listening and eager to please. Yes, CES had impressive autonomous vehicles that focused solely on the technology of keeping cars on the road. The NVIDIA/Audi system was impressive. As was Delphi's latest self-driving car. But automakers have realized that if all the cars are basically doing the exact same thing regardless of what's making the wheels turn, they need to find another way to lure in new buyers. Right now, that means building a "friend" to woo potential customers. We should prepare ourselves for a new BFF that knows your favorite song and how many times a week you eat Taco Bell. So just lean back and relax: Your corporate-built AI friend has everything you need.